Being told they are overqualified or they won’t stick around long are just a few of the perceptions job seekers over the age of 50 find themselves having to overcome during their search. Bud Swanson, a workforce consultant for the Idaho Department of Labor’s Boise office, shared his ideas to help mature workers learn how to focus on their strengths and what they have to offer an employer. Idaho Department of Labor workforce consultant Bud Swanson can help older job seekers focus on their strengths in their job search. 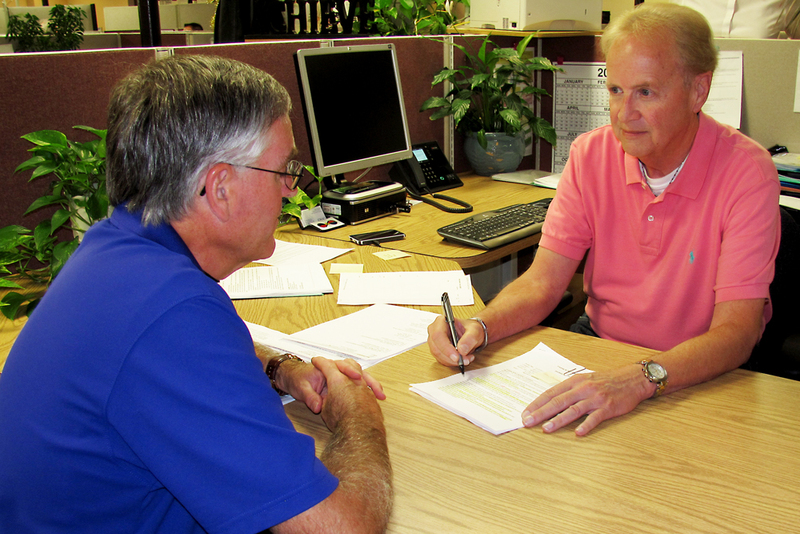 What are some of the myths about older adult workers and how can a job seeker combat them? Myth One: Employers don’t like to hire people older than 50. Reality: Employers hire people who are qualified for the position, demonstrate reliability and possess a strong work ethic, regardless of age. Myth Two: Older workers are less flexible and adaptable. Reality: Older workers are just as adaptable when they understand the need for change, even though they may ask why a change is necessary. Myth Three: Older workers are not as productive as younger workers. Myth Four: Benefits and accident costs are higher for older workers. Reality: Total sick days per year of older workers are lower than other age groups because they have fewer acute illnesses and sporadic sick days. Older workers take fewer risks and have lower accident rates. Myth Five: Older workers face more health issues. Reality: Older workers have better attendance than younger workers. Myth Six: You can’t teach an old dog new tricks. Reality: Studies show limited loss of cognitive function in people under age 70. And the fastest group of Internet users are people 50 and older. Myth Seven: Training older workers is a lost investment because they will not stay on the job for long. Reality: The future work life of an employee older than 50 usually exceeds the life of new technology for which the worker is trained. What kind of job search tips do you have for mature workers? Older workers should go on the offensive. Don’t apologize for your years of employment. Market yourself. Focus on your accomplishments and promote yourself as experienced, not old. Sharon O’Toole, a workforce consultant in Canyon County, added that mature job seekers tend to rely on old job search techniques that don’t work well in a tougher job market. “I think, in general, the biggest problem older workers have is that they don’t market themselves very well, and, in some cases, are just reluctant to ‘brag’ about their accomplishments,” she said. How can you get past stereotypes about age? To conquer stereotypes, older workers should maintain a contemporary appearance and wear clothes that are stylish (but age appropriate). Project energy. Choose a contemporary hair style and consider keeping your hair colored (but do what feels right to you). Discuss quantitative measures of productivity. Focus on what you accomplished not responsibilities. Use numbers or percentages where appropriate. Refer to your up-to-date technical skills. Identify commonly used software and where your skills range from good to proficient in your resume. Focus on Microsoft Office programs (Word, Excel, PowerPoint, Access). Offer positive examples of how you worked with people of diverse ages. Demonstrate your knowledge of social media. Discuss any professional development activities. What if you don’t have current technical skills? You can update your skills in a variety of ways including online classes or webinars, workshops, books, videos, night classes and professional associations. A good free resource for learning computer skills can be found at gcflearnfree.org. How can an older worker make a resume stand out? Make it relevant. Stress what you accomplished. What if a job seeker wants more help with the search? Several Idaho Department of Labor offices throughout the state offer seminars and workshops specifically for older workers. In Boise, job seekers can learn more about “Maximizing Your Experience” by contacting Bud at 332-3575 x 3817. The next workshop will be held at 9:30 a.m. Sept. 16. In Canyon County “Use Your Age to Your Advantage” is held on the first and third Wednesdays of each month. In Sandpoint the local office holds its mature workers seminar on the second and fourth Tuesdays of each month. Kootenai County’s local office will hold its first workshop for mature workers at 9 a.m. Sept. 3. For more information on these workshops and all other seminars offered by the department, check the events calendar. To make an appointment with a workforce consultant, visit our directory to find one in your area. A consultant can help you update your resume and tap into the hidden job market – jobs that aren’t advertised, Sharon said. This entry was posted in Job Seekers and tagged idaho department of labor, job seeker tips, job seekers, mature workers, workers over 50 on August 23, 2013 by Idaho Department of Labor.